Beautiful culvert beneath the railroad tracks. One thing I love about old architecture is the level of aesthetic care and detail put into the construction of mundane, practical objects that few people would see. I remember the brickwork on a chimney that I saw - where the walls around it had been taken down. No one had seen this chimney since the construction of the house, but the bricks were perfectly stepped, each joint beautifully coped. 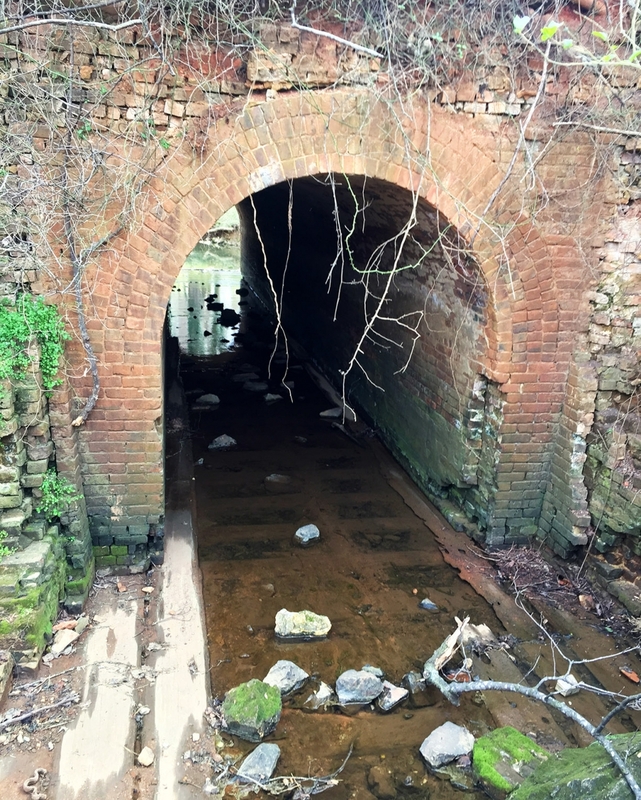 So it is with this culvert that carries the Bellevue Branch underneath the NC railroad tracks towards the Eno River. Few people ever see it, but the brickwork of the arch is beautiful. I'm unclear as to why there are wooden rails at the bottom of this.